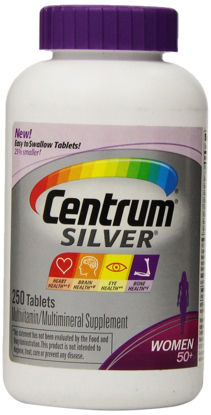 MultiVitamin MultiMineral Supplement, 365 Tablet Bottle Plus 60 Tablet Bottle. 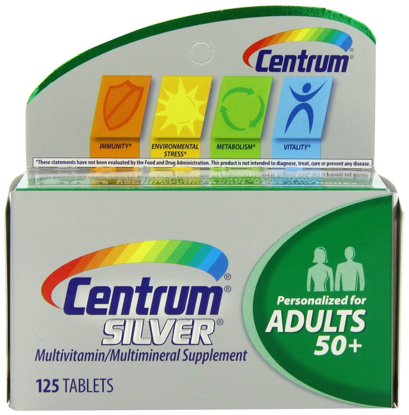 Centrum Silver is a specially-formulated multivitamin for adults, created to meet the changing nutritional needs of adults over 50. 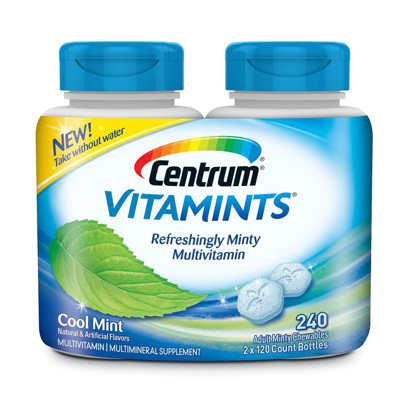 New Centrum Viatmints that are refreshingly minty and easy to take. Adult cool mint flavor multivitamin / multimineral supplement with natural and artificial flavors. 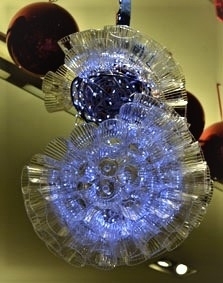 Easy to take with water or without water, chewable. Just two a day helps support Energy, Immunity and Metabolism. 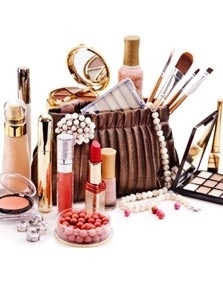 Each order comes with two 120 count bottles. 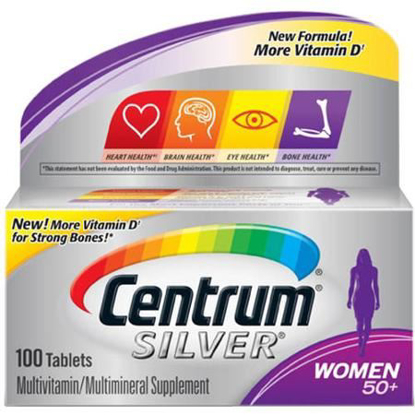 Keep yourself going strong with these Centrum Silver Women 50+ Multivitamin Tablets. Because they have been developed using the most up-to-date nutrition research available, they contain extra amounts of key vitamins. Also, they are made smaller than ever before, so they are easier to swallow. 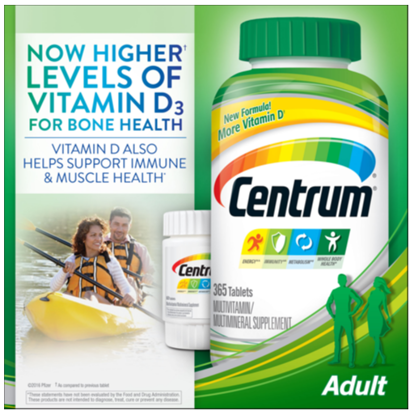 This multimineral supplement comes in a 200-count bottle.